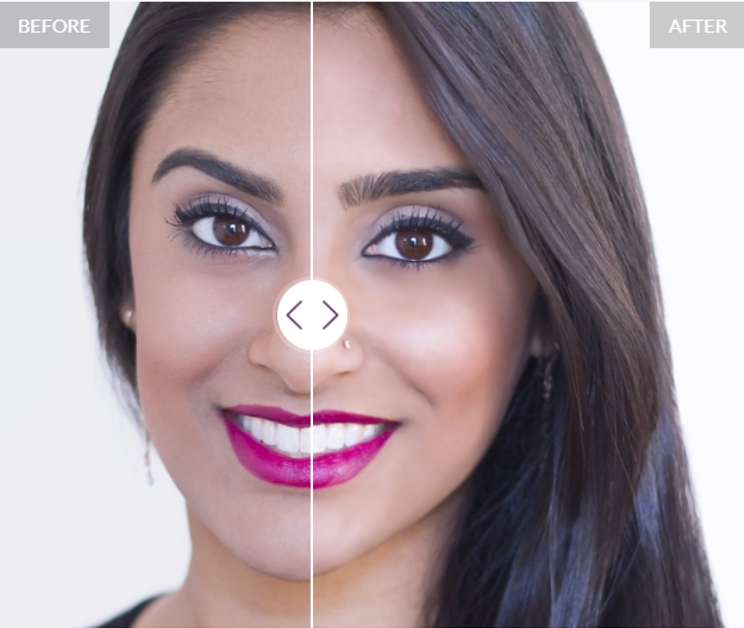 Juvederm Visualizer is an innovative online tool that lets users try out different facial filters that represent the results of various cosmetic treatments. Allergan develops, manufactures and commercializes branded pharmaceutical, device, biologic, surgical and regenerative medicine products for patients worldwide. The company’s goal is to deliver innovative treatments that help people around the world live longer, healthier lives. People interested in facial cosmetics treatments want to see results – fast. Allergan wanted to help them visualize those results from the comfort of their home with an innovative HTML5 application. Using only a photo of their face, users would be able to see the results of a selected cosmetic treatment immediately. This would help them choose a treatment that suits them best and communicate their wishes to their healthcare practitioner more effectively. To get there, they needed an online solution that would be able to detect human faces on images. It had to track a large number of facial points to ensure the most realistic results for end users. Moreover, since Allergan wanted a HTML5 application, the tracker had to be extremely lightweight to deliver results fast. visage|SDK for HTML5is very lightweight and enables quick loading. Human faces, including 75 facial landmarks, are accurately detected on images of various resolutions, from a broad range of cameras. visage|SDK FaceTrack was used to create Juvederm Visualizer. 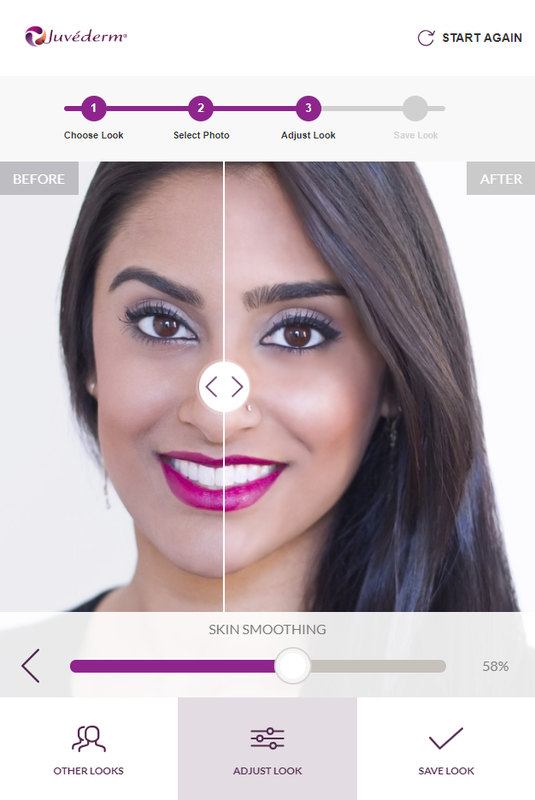 Using this innovative online tool, potential patients can try out a variety of facial filters representing the results of a selected cosmetic treatment. Users can take a photo using their camera or upload one from their computer. The tracker immediately identifies their face and its features. Users can apply a variety of facial filters: lip enhance, jaw contour, eyebrow lift, skin smoothing, cheek volume, under-eye, chin, and skin revitalization. They can also compare their “before” and “after” at any time. When the user is happy with their new look, they can save the photo. This way, the next time they meet their healthcare practitioner, they can easily show them exactly what they need.